STRAIGHT FROM THE DEVS: MARCH 8 2018 - Dreamz Studio transform 100 best community levels into an entirely new game, with the community creators to be given half the money from game sales. The news comes with a brand new trailer. Since its launch into the Steam Early Access program in September, the game's community has crafted more than 20,000 levels, utilising Crazy Dreamz' in-game level editing and visual programming interface. Of the submitted levels, the team at Dreamz Studio selected the best hundred. Its level editing team worked with the community creators to, transform their works into the glistening, inventive and polished creations that make up Best Of - while the studio's artists worked on a complete visual overhaul, adding new artwork and effects to bring these creations to life. Dreamz Studio founder Thibault Louis-Lucas said: "We made Crazy Dreamz not as a simple educational tool, but as something that would inspire players to go beyond the basic tutorials and begin to craft genuinely inventive gaming experiences. We wanted to show people what can be achieved once you understand the logic of coding, so it's been overwhelming to see so many people submitting their work." He added: "When we saw quite how impressive some of the community levels were, we wanted to find a way to thank people for their hard work. 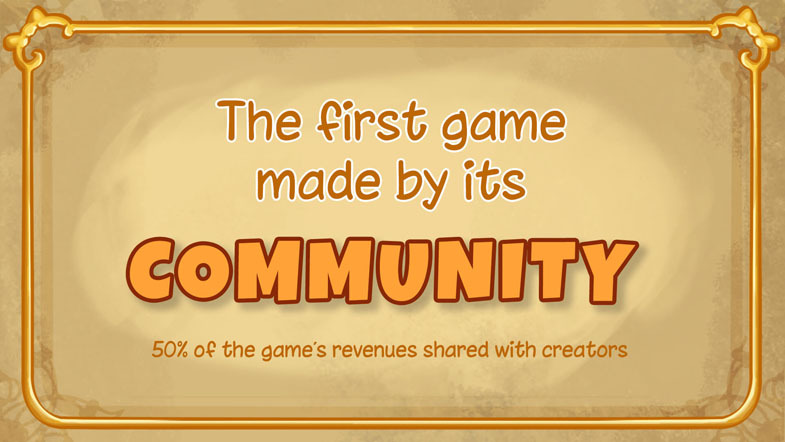 By working with the community to polish and package up their levels into an all-new game, we're able to set our players on their way to becoming professional game developers, and reward them with their first games industry paychecks!" Crazy Dreamz: Best Of will be released via Steam on Thursday 22 March. The original Crazy Dreamz will continue within the Steam Early Access program. Crazy Dreamz is a 2D sandbox platformer with a twist. Create your own levels – tricky, hilarious or puzzling – with a powerful but easy-to-use in-game coding interface, crafting your own game experiences on the fly. Use simple visual scripts to create custom behaviours – from cowardly treasure thieves who run away on sight, to epic bosses that summon kamikaze skeletons. Watch your code come to life in real-time, then share your creations with the rest of the world. Part sandbox platformer, part easy-to-master 2D game-making tool, Crazy Dreamz invites you on an inspiring journey of creativity and imagination. Create, play, share – and become the most respected MagiCat of all.